Learning to live, loving to learn. * Learning about adjectives and using adjectives to describe character and setting. * Writing fantastic imaginative letters about sea creatures and pollution in the ocean! * Learning about plastic pollution, creating posters for our Plastic Free Friday and sharing our plans for Plastic free Friday at Assembly. * Reading the story – ‘The Snail and the Whale’, identifying the main ideas, sequencing the story and working in groups to create a lovely display board in the classroom. * Adding and subtracting using doubles, near doubles and partitions of 10. *Counting forwards and backwards in 1s and 10s and identifying the next numbers in a sequence. * Working out which coins to use to buy things of different amounts at the shop. * Practising our cursive letter formation and trying hard to remember and use them in all our writing – fantastic! * Talking about Christian stories. * Enjoying reading and talking about ‘Matilda’ by Roald Dahl at story time and making links to the rights of the child. * Learning about plastic pollution and beginning to think about how we could organise a plastic free Friday in school. Watch this space for more info! * Getting to know numbers better by learning about place value and using tens and ones to get practical experience to develop our understanding of how numbers are made. * Writing fantastic imaginative letters with super characters and settings. * Practising our cursive letter formation and using them in all our writing – fantastic! * Learning how to identify key ideas from a story and using this to sequence a text. * Creating seascape backgrounds for our plastic not fantastic display wall. * Working with money and thinking which coins we can use to buy items in a shop. * Creating our class charter and thinking about the role of the rights holders and duty bearers in ensuring these rights are met. * Thinking about plastics and where we use plastic in school and at home. * Learning about the setting of the story and how to identify key words that tell us what the setting is like. We are looking forward to seeing you next week at our Curriculum evening to share our plans for the year. A very warm welcome to P2/3. It has been lovely getting to know the boys and girls over the past week. This week we have been thinking about our needs and wants to help us next week when creating our class charter. As we work towards achieving our gold level Rights Respecting Schools Award in October we have been thinking a lot about rights and how we can respect these rights. We have had fun today thinking about what jobs we would like to do when we grow up and the skills we think we would need to do these jobs. We have been linking this in with Article 28 – the right to a good quality education and Article 29 – The right to an education which will help us use and develop our talents and abilities. * Build a snow sculpture in your garden and take some photos to share. Maybe you could make a snow Viking!! * Write a message in Runes in the snow. Take a picture and we’ll see if we can work out your secret message. * Dress-up as your World Book Day character and role-play with someone at home. * Write a diary for a day in the life of your World Book Day character , or your day in the snow. *Play shops, working out totals and change. * Play money or time games on Topmarks or Education City. Following our Halloween, Fireworks activities and poem writing, we have now begun our new topic for this term, ‘The Lighthouse Keeper’s Lunch’. We have enjoyed sharing the story and exploring some of the vocabulary and have also begun to explore electricity, which will be a main focus in this topic. Thank you for the Pringle tubes you’ve already sent in, to make our lighthouses. Yesterday the children had great fun at a karate taster session. The children had great fun today in their Focus Friday groups. We were considering what great teamwork looked and like and sounded like through a variety of challenge activities. The children were involved in making towers with spaghetti, bridges that could support a toy car and lovely decorative head wear. We are still continuing to enjoy our Flat Stanley topic through Literacy activities. We were very excited when Owen’s Flat Me arrived yesterday from Australia. It was great to hear about life in Australia and the children could relate this to their classroom experiences in learning about Australian climate, culture and animals. You may have heard your child singing the very catchy SHANARRI themed song. We’ve been practising this for a special show which will be delivered by a theatre company in school on Tuesday. We’re all looking forward to it. Thank you for your support at the Winter Wonderland last week and a big thanks to Amy’s mum for organising our stall and Christmas decorations. The children are continuing to enjoy our Mighty Me topic and I look forward to hearing their ‘Hero’ solo talks next week. Thank you to Ellie’s dad and Ruby’s dad for coming in to talk to us about their jobs and how they help us to look after ourselves and keep us healthy. We have begun to practise for our Christmas Concert, so don’t be surprised if your child comes home singing some Christmas tunes – it’s not long to go. Today we enjoyed our second Shannarri activity. Our theme was ‘Healthy Mind and Body’ which fits perfectly with our topic. The children really enjoy working with other pupils across the school to think about and discuss what this means for them. Thank you also to the parents who have come in to help out at Golden Time. 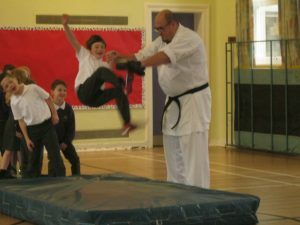 The children love your activities and are always excited by visiting parents. 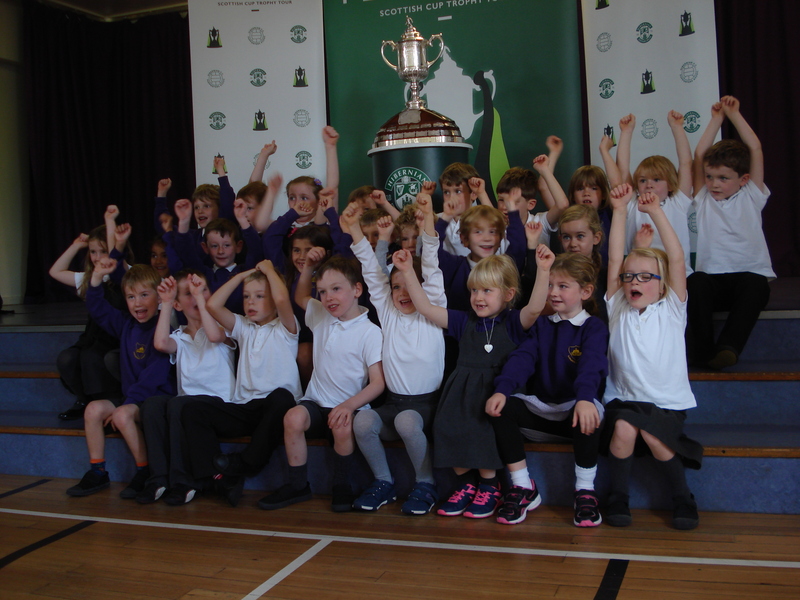 The children were delighted to see the Scottish Cup this week and hear stories of the club’s Perseverance, which fits really well with one of our main values in school. In class we have been working hard on our number skills, ordering and sequencing numbers and thinking about the value of digits in a number. We are coming to the end of our Jungle Book topic so have begun to think about our new topic, Mighty Me. Using one of our Thinking Routines, we have discussed what we already know about our bodies and how to look after them, things that puzzle us and how we’d like to explore this topic. In our writing we have been focusing on writing interesting sentences using capital letters and full-stops. Subscribe to get an overnight email with a summary of our latest news. No news, no email! paige on Ghostly Goings On!